I also remember other things from back then. 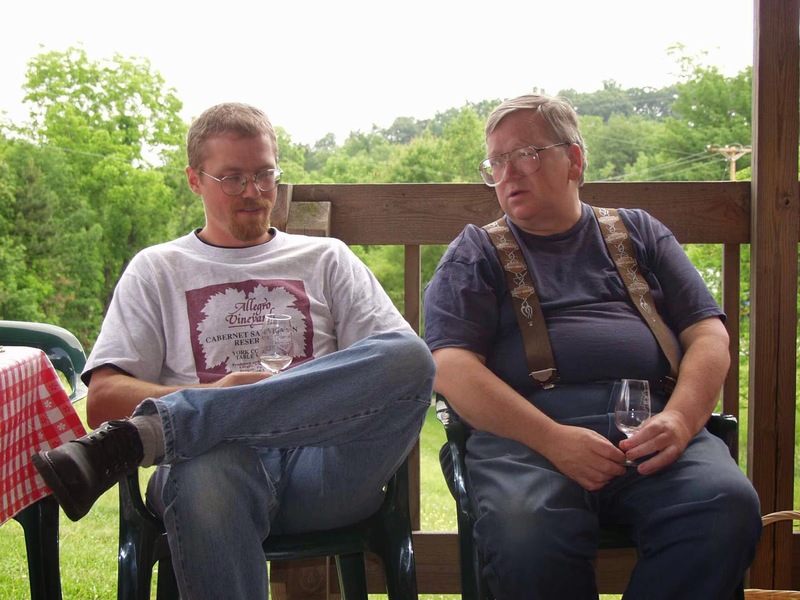 My predecessor, good friend, and great winemaker John Crouch past away on March 2nd of that year. I remember speaking at his memorial service a week later on my birthday, trying to put into words how I felt having a teacher who taught without meaning to teach. I’m sure I failed, but even more so, I felt like I had been tossed out of the nest without the full understanding of what flight was. I know that a lot of people probably thought that the weak 2003 wines were due to the fact that John wasn’t helping in the cellar at the time. And they were probably at least partially right. But that doesn’t mean the wonderful 2001s and 2002s had nothing to do with me either. Those first two harvests I had at Allegro with John were a glowing era in my memory. It’s one thing to be part of a harvest at a winery. It’s a whole other animal to be working along-side a gifted and talented artisan, someone for whom the whole industry had an enormous respect. And at the same time, he gave me complete control of the reins. Never told me what to do once. And this was in a cellar that he had been master of for twenty years. Talk about restraint. Here I was a 31 year old young buck, and he just let me run. Not sure I would have done the same thing. Of course, back in 1980 (his first vintage) he was exactly the same age. And his ’82 was a wine for the ages…. 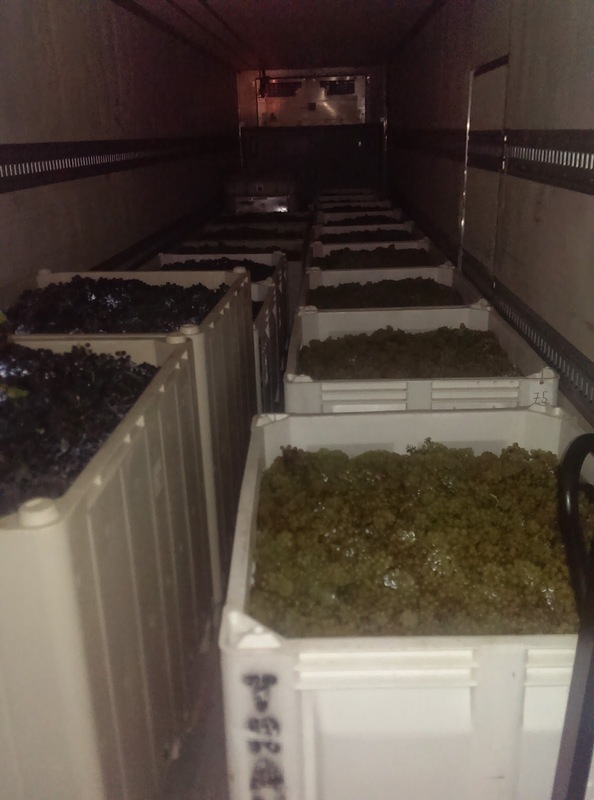 But, back to this year….. Merlot and Chard didn't come in until the first week of October. And they all came in at once. It's been one of the weirder harvests I've ever seen. Low pHs, lot of extra malic acid in the fruit. Good colors on the reds, though. Nice aromatics, but more on the delicate side of things. It feels a lot like 2009 actually, but I know the wines will be better. I'd like to think that we're better at growing the fruit than we used to be. 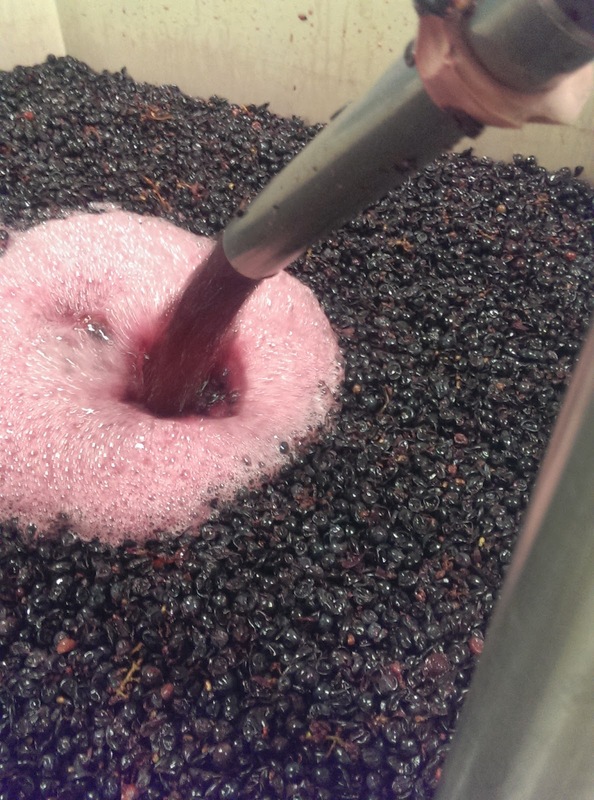 Winemaking is about the same, with only a few tweaks. We're doing more pumpovers these days instead of punchdowns for the reds. But then I checked back in notes….something was reminding me....of a past vintage. Cooler year, dry in the fall, good colors, higher malic levels……after checking my records of rainfall, GDD, and mean max temperatures, I knew what it was…. It’s 2001 all over again. My first year with John. The first year we made Bridge. A glorious year that took us all by surprise. A fabulous Chardonnay year. One of my favorites. Maybe all my worries have been in vain. Even though it’s weirdness will go down in the annals of east coast winegrowing, I think the wines may outlive our memories. Hope you all are able to share some of them in 2024 with me.